Practice and preparation are key to winning the Stockman of the Year national title say this year’s winners. 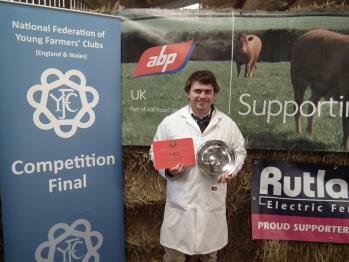 Junior Stockman of the Year Jessica Odgers from Lancashire FYFC and Senior Stockman of the Year Rhydian Bevan from Pembrokeshire FYFC were both thrilled to be victorious in the final. The competition is sponsored by Rutland Electric Fencing and is a hard-fought contest by our finalists. 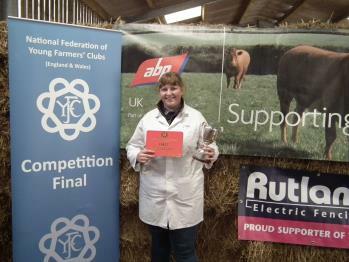 Jessica would encourage any young farmer to get involved in stock judging. “Don’t be afraid to give it a go – get involved at your Club and go ahead and enter competitions,” she said. Stockman of the Year title to his portfolio. “I’ve won Pembrokeshire three times, so this is fantastic to get the National one,” said Rhydian who had to keep practising to keep his eye in as there was a long gap between the Pembrokeshire event in April and the national one in September. Rhydian’s advice to anyone looking to improve their own stockjudging skills is to see as much stock as you can and to get help and advice from club leaders. See more information about the 2017-18 Stockman of the Year competition. and Young Stockman of the Year competition. Northumberland Young Farmer Vicky Furlong has won Countryfile’s Young Farmer of the Year award at the BBC Food and Farming Awards. Vicky, from Shatoe YFC, was presented with the award at a ceremony in London on Thursday 21 September - during National Young Farmers' Week. She was shortlisted alongside two other YFC members Tom Phillips from Crucorney YFC in Gwent and Tom Addison from Newport Pagnell YFC in Buckinghamshire. Those who know Vicky will not be surprised by her achievement or dedication. She currently holds the ATV trophy for the County and was also named Shaftoe YFC’s Senior Member of the Year in 2016. 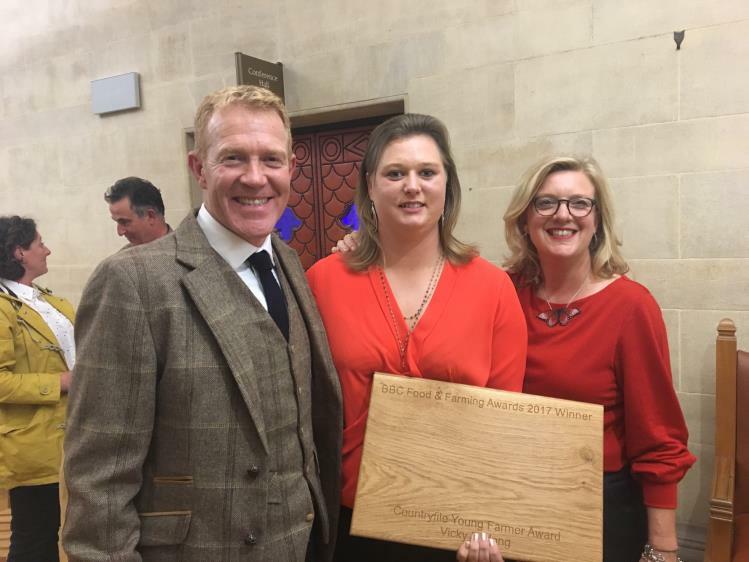 NFYFC President Charlotte Smith was at the awards ceremony along with Adam Henson to congratulate Vicky. Read more about Vicky and the other finalists here. NFYFC is celebrating 70 years of its bespoke travel programme for YFC members and is launching 16 new opportunities for members to apply for in 2017-18. The YFC Travel programme started in 1947, with Kenneth Osborn the first member to take a trip overseas, which was to the USA. While forms of travel have changed over the years – it took members six weeks to travel to Australia in the 1970s – the positive feedback from the adventures has remained a constant. In 2016, 100% of members who had been on the trips said their experience was positive. 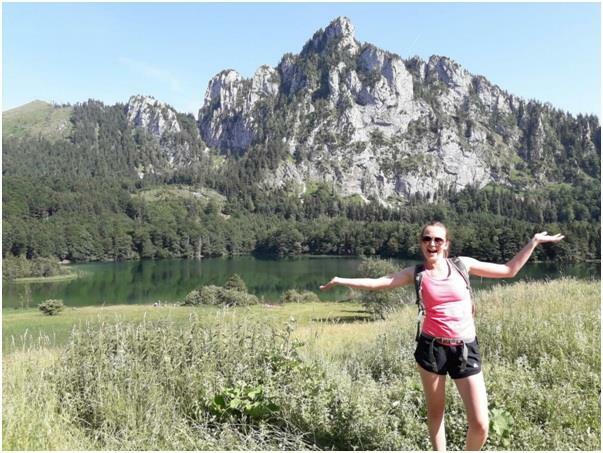 The NFU Mutual Charitable Trust has supported YFC Travel for the past 15 years, enabling members of Young Farmers' Clubs to experience unique travel opportunities, receive expert training and realise their dreams. Since 2002, The NFU Mutual Charitable Trust has given nearly a quarter of a million pounds to help young farmers and in the last 12 months more than 1,500 YFC members are expected to benefit from this support. Read more about the Trust here. 123 members have travelled on the C Alma Baker trip since it began. In the 2017-18 membership year, YFC members are invited to apply for 16 different available trips. These range from staying with host families in Canada to volunteering trips in Nepal or South Africa. Steven Crane, from Longridge YFC, travelled to New Zealand earlier this year on a working scholarship with C Alma Baker and said the experience was life-changing. Steven now has ambitions to set up his own sheep farm away from his family farm. “Since I have returned, I have started to look for my own plot of land. It has given me the confidence and experience to think I can do it myself. I learnt so much and feel inspired to do more,” he said. There are four scholarships available to YFC members through the C Alma Baker trust – and the three month trip also allows for participants to spend an extra month travelling the island. Other trips available include taking part in European seminars with Rural Youth Europe as well as an opportunity to attend their Rally. Applications for YFC Travel must be submitted by 3 November 2017. All the information is available here. Read more about YFC members’ experience of the C Alma Baker trip from over the last 30 years here. ‘You don’t have to be a young farmer to be a 'Young Farmer’ – it’s just as well really. 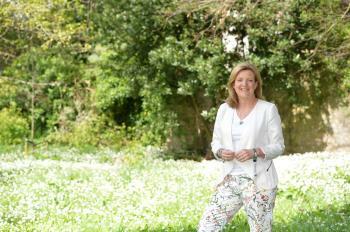 I am the proud president of The National Federation of Young Farmers’ Clubs and I’m neither young nor a farmer! Growing up in rural Leicestershire I was of course aware of the local YFC, but as the daughter of librarians with plans to become a serious actress it never occurred to me to join. And that’s a shame. Young farmers do all the things you’d expect – learning how to judge a good dairy cow or the best cut of beef – but they also do a lot of things you’d never expect – public speaking, drama, street dance and tug of war? Oh yes, and cheerleading, football and netball... along with raising more than a million pounds a year for charities and campaigning on issues like farm safety. But mainly they have a lot, and I do mean a lot, of fun. I’d have loved it when I was young – I’m loving it now I’m older too! I’ve been to a few YFC events – and survived. There is a lot of laughing, and yes once they’re old enough a fair amount of partying. But these young people are very much part of their communities and spend a lot of time trying to improve the lot of rural Britain – 4,000 hours last year to be precise were spent on community projects through NFYFC’s Countryside Challenge – a project funded by Pears and the Cabinet Office. Young farmers, being the generous sorts they are, have been organising loads of initiatives for the greater community good over the past year. 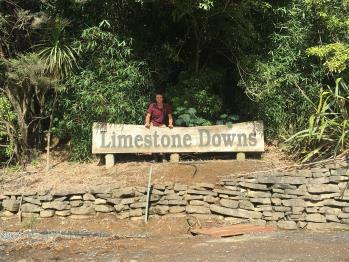 From cleaning village signs to pushing a bed around the local area to raise funds, young farmers have been making their mark. And it’s been appreciated. Feedback from those who are benefiting from their acts of kindness revealed how much of a positive impact their work had on the local community. In the process, these communities also learnt more about young farmers and the fact they are a friendly, hard working bunch! This summer I took the kids to The Essex Country Show. It’s massive, with everything from sheep to motorbike stunt riders. We, along with 16,000 other people, had a great time. And the whole day is put on by a team of young farmers. Yes, you read that right. A group of people aged from 10 to 26 organise the whole damn thing… they book the venue, the trade stands, organise the car parks, the health and safety, the catering, the bars (best job?) all the painful details of running a big event. It is a massive commitment of time and energy, and the profits are ploughed back into developing rural young people through the county Federation. The skills people develop running the show – and the skills other young farmers pick up from running their own clubs – will be with them for ever. It’s a point that is being highlighted this National Young Farmers’ Week (18-24 September) when its 619 YFCs across England and Wales will be celebrating all that is great about being a member of the largest rural youth organisation in the UK. Chat to any one of the 24,500 members and you’ll not only be amazed at how articulate they are (all that public speaking practice) but also how passionate they are about an organisation that has had a massive impact on their lives - shaping careers and relationships. It’s certainly the case for 22-year-old Matthew Southall who tells me his student life at Harper Adams has been a hit thanks to YFC, where he’s studying a Rural Enterprise and Land Management degree. The skills and connections gained through YFC are also working their magic on the rural entrepreneurs too. Just look at Emily Cartmail, 20, who has set up a cake business, backed up by a start-up loan through Staffordshire Federation of Young Farmers’ Clubs, and now has a solid client base. And it is this confidence that impresses. YFC gives these young people from as young as 10 years old, often living in some of our remotest locations, a chance to have a social life and the opportunity to shine at things they had perhaps never considered. Matthew, for example, found he could throw a few impressive dance floor moves. “YFC members have a ‘get stuck in and give it a go’ attitude," he says. "I found myself performing in the national final of a dancing competition in Blackpool, despite never having danced seriously before." The opportunities for personal development astound. Not only do they get in front of farming ministers and sit in hefty discussion groups with the likes of Defra, they also get offered bags of training opportunities (great for the CV) and travel experiences. These young people are jetting off to the likes of New Zealand, the USA and Canada, learning about cultures and lifestyles in other rural parts of the world. So if you’re near a club – give it a go. Doesn’t matter if you’re not a farmer, doesn’t matter if you don’t ever want to be a farmer! If you’re the daughter of librarians with aspirations to be a serious actress then I reckon it’s a great move. A new free business guide offering essential advice about how to get a farming business started has been launched by The National Federation of Young Farmers’ Clubs (NFYFC) and Savills. The online resource, which is being launched during National Young Farmers’ Week (18-24 September), was created in response to demand from young people who wanted more support for starting successful farming business ventures. As the industry faces huge changes post-Brexit, the Smart Farming Guide, supported by Defra, offers a one-stop shop for practical advice on starting, funding, protecting and growing a robust agri business. This mobile-friendly, online guide will be continually updated with information during a time of unprecedented change. 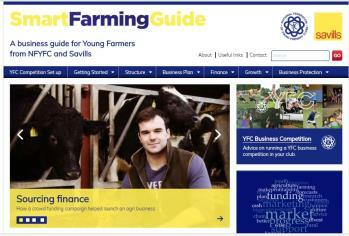 The guide also helps members of Young Farmers’ Clubs (YFCs) to plan and deliver business development competitions as part of their programme of activities for developing YFC members’ skills. Case studies from successful farming entrepreneurs such as Chris Wildman from the Town End Farm Shop and Guy Watson from Riverford Organics. Advice on the types of finance available. Risk analysis and business protection advice. A resources section with links to wider business support. Previous NFYFC work, including videos giving advice on starting the succession conversation and links to the business opportunity matching service. Sarah Palmer, NFYFC’s Agriculture and PR Manager, said: “The aim of the project was to encourage early take-up of good business practice and provide an on-line guide for all aspects of business development. Expertise and collaboration were key components of the project offering YFC members a comprehensive guide on many levels. NFYFC and Savills have first-hand experience of developing and delivering business development training. The guide will be a linked to future projects to ensure consistent advice and information. Clive Beer Savills, Head of Savills UK Rural Professional Services, said: “The framework within which UK agriculture operates is about to undergo the biggest change since the repeal of the Corn Laws in 1846. During the next few years our trading platforms and subsidies will change and we have to hope that these negotiations and outcomes put UK agriculture in a strong position for the future. National Young Farmers’ Week is a celebration of the work YFCs do in their local communities and the contribution they make to the future of the industry and the rural environment. Visit the Smart Farming Guide. The National Federation of Young Farmers’ Clubs (NFYFC) is celebrating its 85th anniversary during National Young Farmers’ Week (18-24 September), following a hugely successful campaign to support rural communities. Members of the leading rural youth organisation spent more than 4,000 hours over the last year as part of a nationwide campaign to fundraise and deliver community projects that benefited local residents. The hard work was all part of an NFYFC campaign called the Countryside Challenge, funded by Pears Foundation and The Office for Civil Society. Feedback from the campaign revealed that 100% of respondents who lived in the areas that benefited from a YFC project said that it would have a positive impact on their local community. Survey findings also revealed how local communities viewed YFC members after the projects were completed, with the top three attributes for Young Farmers being friendly (95%), hard working (91%) and organised (87%). Other key qualities highlighted about YFC members were that they were inspiring and helpful. Projects ranged from cleaning up churchyards and village signs to hosting fundraising events to raise money for local causes. Thanks to the funding support, NFYFC was able to give out £15,200 worth of funding to YFCs who applied for £400 to help them deliver their Countryside Challenge project. This money paid for necessary tools and equipment or was reinvested back into club funds to help develop their club and activities for members. As well as the Countryside Challenge, YFCs annually raise an estimated £1.2m for charity every year through fundraising and collectively spend thousands of hours supporting local community projects. This impressive amount is on top of the money they must raise to supplement the running costs of their clubs and the hours spent nurturing their members. This National Young Farmers’ Week, YFCs will be celebrating the positive impact they make on their rural communities and in developing young people’s skills. The aim of the week is promote YFCs to more rural young people so they are aware of the benefits the Federation can offer them by providing an active social network and developing skills. There are 25,000 members of NFYFC who are all offered opportunities to take on roles in their YFCs to help with the running, budgeting and management of their charity. There are also opportunities at a County, Area and National level as a member-led organisation. The skills developed through NFYFC’s competitions, training, travel and agricultural activities have all proven to benefit young people throughout their lives, which is why NFYFC will be using the hashtag #yfcforlife during this National Young Farmers’ Week. The week will focus on different topics over the seven days and will culminate in the national finals of Cookery and Floral Arts at the Malvern Autumn Show in Worcestershire. Clubs will be celebrating the event by posting photos of their YFC online as part of a nationwide photo competition that will be judged by NFYFC’s President, and broadcaster, Charlotte Smith and NFYFC’s Ambassador Chris Stark from BBC Radio 1. National Young Farmers’ Week 2017 runs from 18-24 September and there are a number of social media assets available to download from the website for NFYFC supporters to use to raise awareness of YFCs during the week. Read our stories from YFC members who have benefited from being a member of a Young Farmers’ Club throughout their lives. See endorsements for National Young Farmers’ Week from Adam Henson and Jimmy Doherty as well as from a range of NFYFC's sponsors and supporters. See case studies from Shropshire's Countryside Challenge and Patrington YFC's Challenge..